Coindexter Crops for the iPad Help Farmer Franc with the harvest and learn to work smarter, not harder, with Professor Coindexter's genetically altered crops. Manage the farm by harvesting coins and watering your crops, but be on the lookout for Poluta Weeds! Professor Coindexter's arch-nemesis, Viktor Poluta, has created a small army of vicious plants that stand in your way. Unlock powerful crops, protect the farm, and spend your money wisely to master twelve challenging levels. Make deposits to your Coindexter.com virtual savings account to use your earnings in the virtual world of Econopolis. 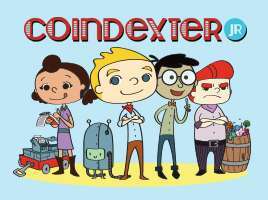 Coindexter Crops introduces and reinforces concepts of earning, saving, & spending money in an entertaining, game-based format. 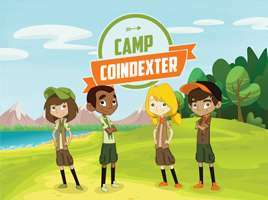 With a focus on budgeting, money management, financial goals, and wise spending decisions, Coindexter Crops offers a well-rounded resource that is ideal for introducing children to the core principles of financial literacy.